I embarked on my first travel adventure in 2006, a life changing solo backpacking adventure which would have me sipping cava in Spain, noshing on sausage in Munich and slurping goulash in Budapest. It was during that first trip that I wrote the dobbernationLOVES manifesto which has now turned into a snappy motto for the way I see the world: Eat Well, Travel Hard, Live Better. Over the years I’ve had the opportunity to travel from Bali to Bora Bora, always on the search for an authentic experience which allows me to tap into the local culture, taste fresh flavours, dive into the regions rich history and meet with locals to chat with them about their home sweet home. Visit the famous Chinese Fishing Nets in Cochin India. According to a recent TD survey, these types of vacations are perceived as being more costly, but they don’t have to be! More than half (62%) of Canadians are likely to consider going on an experiential vacation if they could find ways to save on costs. TD Canada Trust shares some tips on how to help make your next experiential vacation an ultimate one! Putter through Kerala India’s famed backwaters in search of dreamy luxury retreat Coconut Lagoon. Know how much to save: calculate the full cost of your trip (transportation, accommodation, transfers, tips, activities, meals and travel insurance). I like to start researching by reading through a guidebook to get a sense of what the daily costs of a destination are likely to be. A month before I departed for my recent trip to India I flipped through Rough Guides, taking notes on the average cost of a taxi to the Mumbai Airport, the average price for various boutique hotels and famous restaurants as well listing the cost of entrance for the most popular local attractions (many of which can be free certain days of the week). Create a vacation savings account: whether you enjoy ten vacations a year or budget for just one, it’s important to plan ahead by allocating a percentage of your income each month to a vacation savings account. For example, saving $25 a week can generate $1,300 in a year to spend on your vacation. I had a friend who once told me “I don’t have enough money to travel.” Once we sat down and looked at his income and expenses we discovered if he cut down on using taxi’s in the city (and used his bike or public transit instead) he’d easily be able to enjoy a week-long beach holiday next winter. Look for free or inexpensive activities: research prices online and see if savings can be made by booking activities before you arrive. Many guest houses offer discounted room rates if you extend your stay and some resorts will offer free transfers, meals and even spa treatments if you press them for a competitive package. Many museums are free certain days of the week so plan your visits accordingly. 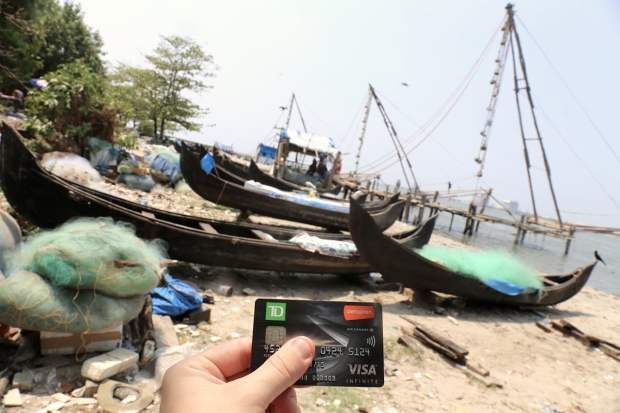 Use your loyalty travel rewards to help save on travel costs: I use TD’s Aeroplan Visa Infinite card whenever I make purchases at home or abroad so I can redeem points which then help to reduce the overall cost of my next trip. By consistently using Star Alliance airline partners over the years I’ve now accrued over 120k Aeroplan points, many of which are added to my account each month based on my monthly purchases. 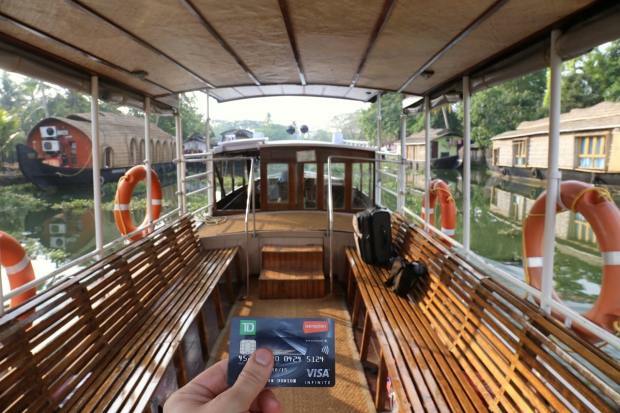 Card users also get to take advantage of free health insurance for trips up to 15 days in length which can be a considerable savings if you find yourself traveling out of the country regularly.